No credit? Bad credit? We have options!! 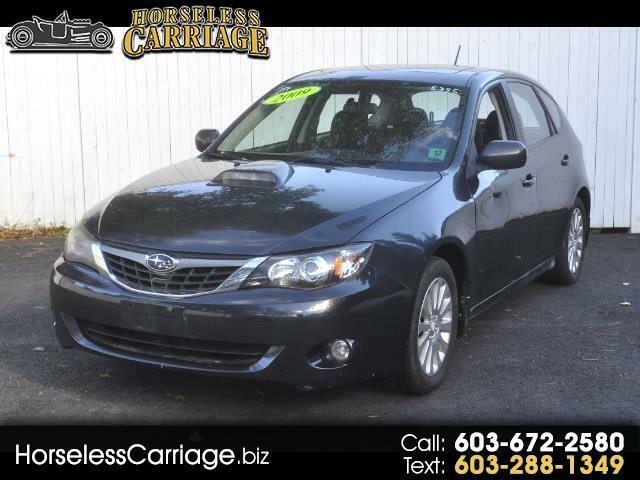 Come on by and check out this 2009 Subaru Impreza 2.5I Premium. This vehicle has 159,061 miles, 5 speed, AWD and a sunroof! This is a great little car just waiting for you to come test drive it! No appointment needed! This car has been priced under KBB and NADA pricing! What a great deal!! Visit Horseless Carriage online at horselesscarriage.biz or call us at 603-672-2580 today to schedule your test drive. Please include a phone number when responding to an ad so that we may call you. *Cars sold "As Is" do not qualify for NH state inspection, 20 Day Plates or our 90 day warranty. Prices do not include additional fees and costs of closing, including government fees and taxes, any finance charges, any dealer documentation fees or other fees. All prices, specifications and availability subject to change without notice. Contact dealer for most current information. It is the customer's sole responsibility to verify the existence and condition of any equipment listed. The dealership is not responsible for misprints on prices or equipment. It is the customer's sole responsibility to verify the accuracy of the prices with the dealer.